During the 2016 campaign, President Trump promised to end the practice of replacing Americans with cheap foreign workers on H-1B guestworker visas. This was always a tough task because the very purpose of the H-1B program is to replace Americans with cheap, foreign workers. However, there are some improvements that could be made through administrative and executive action. After two years in office, the Trump administration has finally released its long awaited H-1B regulations. These regulations might best be called "The Swamp Has Taken Over the Trump Administration." 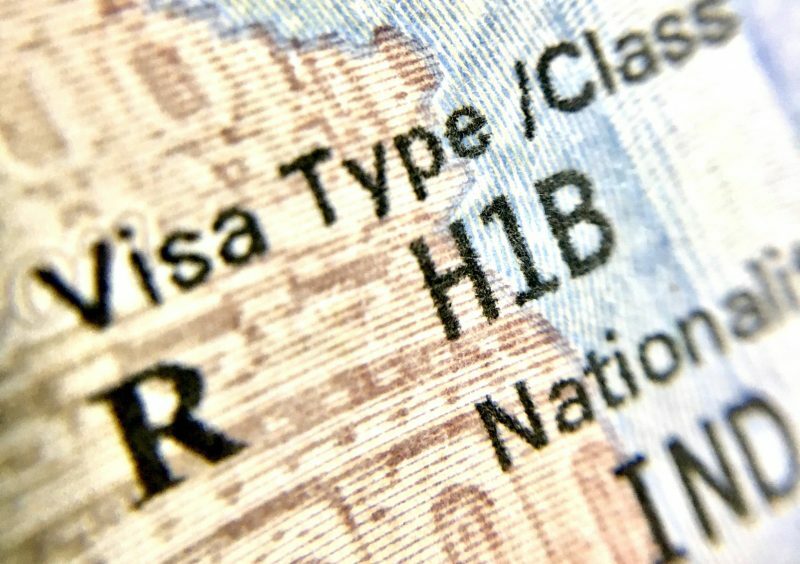 The new H-1B regulations do two things. First, instead of having employers enter visa petitions into the lottery for H-1B visas, employers will enter a lottery for the right to submit visa petitions. The big winner from this change is employers because it will reduce visa costs. Employers will no longer need to prepare petitions for visas that will end up not being granted because of the annual visa limits. The big loser will be immigration lawyers because the number of visa petitions will drop at least by half. Second, the regulations change how the H-1B visa lotteries are run. In the past, petitions either entered the lottery for 20,000 visas dedicated to those with graduate degrees from U.S. universities or the lottery for the 65,000 visas open to all. Under the new regulation, everyone will be entered into the general lottery. Any losers who qualify will then enter the 20,000-visa lottery. This will allow those with U.S. graduate degrees to get two bites at the apple. This will marginally increase the number of graduates with American degrees. The big winner for this change is American diploma mills that specialize in handing out paper credentials to foreign students. The big question is "What do these changes do for American workers?" Trump's campaign promise of putting Americans first has clearly fallen by the wayside. American workers clearly did not come first here. This is not unexpected given how Trump has isolated himself from ordinary Americans. He has purged his staff of those who were reaching out to American workers. Trump has not met with American workers since he was elected. Meanwhile, Trump has had frequent meetings with businesses and foreign interests seeking cheap, foreign labor. Given that environment, the type of do-nothing regulation that came out this week was practically inevitable. It had been my thought that President Trump's U-turn on replacing Americans with foreign workers would still not cause supporters to switch to someone else in the next election. I thought it would just make his previous voters less likely to vote and to provide other active support. Today I had a couple of calls from worker activists who had previously been avid Trump supporters. They wanted to discuss how we could identify candidates in the next election who oppose replacing Americans with foreign workers and who can go up against Trump. There are still nearly two years left in his term. Maybe Trump can turn it around, but that will not happen without a major change in his attitude and major changes in White House personnel. President Trump might want to read about how nepotism contributed to the downfall of Wang Laboratories.